Prime Minister Vladimir Putin bills it as an economic union that could rival China and the United States, stretch from the Polish frontier to Pacific shores and reunite at least part of the Soviet Union. The Eurasian Union, according to Putin, could recoup the potential lost when the Soviet empire collapsed 20 years ago and secure a group of like-minded countries by binding them together against any meddling by the West or China. Despite a December meeting of the Eurasian Economic Council, which included Russian President Dmitry Medvedev, details on the project remain scarce and only Russia, Kazakhstan and Belarus signed up so far. Putin has sought ways to reunite former Soviet republics since becoming prime minister in 1999 and being elected president the following year, capitalizing on nostalgia for the “good old days” of stable prices and predictable government. Twelve years ago, he pushed the idea of a union with neighboring Belarus, which Russia often calls its little brother — just one of several attempts by Russian leaders to knot together countries that once shared one command economy. “Not long ago we were one economy, and since then there has been a huge loss from industries we were developing. We have lost a lot of technological know-how. … It would be strange if the countries did not want to remember what connects us,” said Konstantin Zatulin, the Russian director of the Institute of CIS countries — a loose grouping of 11 former Soviet states known as the Commonwealth of Independent States. The Eurasian Union idea is not new. Kazakh President Nursultan Nazarbayev dreamed up the idea more than 10 years ago, and its current incarnation is an extension of a customs union spearheaded by Putin between Russia, Belarus and Kazakhstan that Ukraine, the former Soviet Union’s third-biggest economy, refused to join. Putin says it is modeled on the European Union, promising free movement of labor and free trade to promote domestic industries. It envisages the eventual adoption of a common currency, and its headquarters will be in Moscow. Kyrgyzstan is willing to join, and Tajikistan is reported to be considering the measure, ensuring that Russia’s eastern flank is covered but bringing little in terms of economic value. “In fact, there is little new to such aspirations and little reason to believe they will be more effective than previous attempts to forge the CIS into a coherent entity,” the Economist Intelligence Unit said in a recent report. Putin has given the idea momentum from his $1.48 trillion economy, to what avowedly is an economic union. 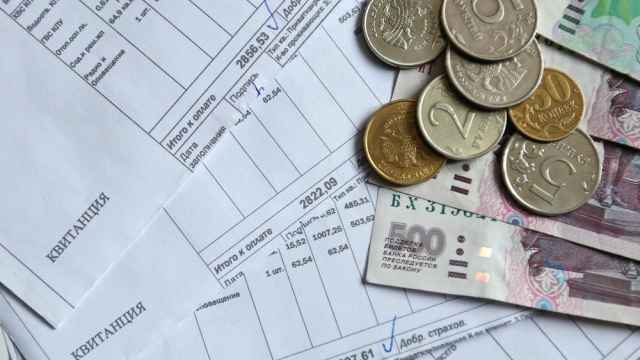 Kazakhstan has a gross domestic product of $149 billion, Belarus, under President Alexander Lukashenko, has a largely command economy worth $17 billion, according to the World Bank. Kyrgyzstan and Tajikistan are even smaller. But without Ukraine, which has hedged its bets because it wants to keep the possibility of EU membership open, the union loses most of the European part of the planned alliance. 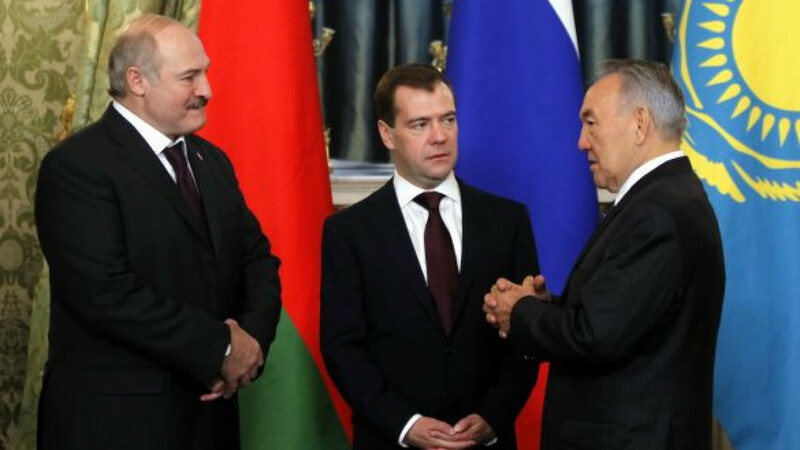 “Belarus is needed because it is a country that is on the western flank. If we want to be part of Europe properly, then we have to find a way to cooperate with Belarus and Ukraine,” said Zatulin, who until this week was a first deputy chairman of the CIS committee in Russia’s lower house of parliament. Since unveiling it in an October newspaper article, Putin has made the union a main election platform. It has, some political experts say, become one of his “big ideas” — one that he may promote further to deflect attention from his domestic problems as he faces mass protests and calls for his resignation over the parliamentary elections. His popularity rating has sunk since the poll and doubts are growing over his ability to secure the more than 50 percent of votes needed to win the presidential election in the first round. Kazakh leader Nazarbayev also faces problems. Riots in an oil town over company sackings have raised questions about his rigid authoritarian system before a January parliamentary poll. “It’s an instinctive effort to save the shared history from the Soviet Union and maybe capture this in some sort of organization with slightly unclear prospects,” Lilit Gevorgyan, Russia and CIS country analyst at IHS Global Insight in London, said of Putin’s proposal. “Their strength is the weakness of this initiative. It is driven by a vision of strengthening their own legacies rather than the common economic and political future of their countries,” she said. At a question-and-answer-session with the public earlier this month, Putin smarted at a suggestion that Russia should become a “bridge” between East and West. “Russia is not a bridge. It is an independent, self-sufficient force in the world, not just some sort of link,” Putin said. Russia has long feared being squeezed by an expansionist European Union in the West and a perhaps more aggressive China to the East. China now accounts for 18.2 percent of Kazakhstan’s exports, compared with 8.5 percent to Russia. With the European Union’s “Eastern Partnership” program largely on hold due to a debt crisis, Putin was able to pounce to bring Belarus on board — at a price. Russia won control over Belarus’ pipelines but had to reduce the price of gas when Belarus almost went bankrupt this year. 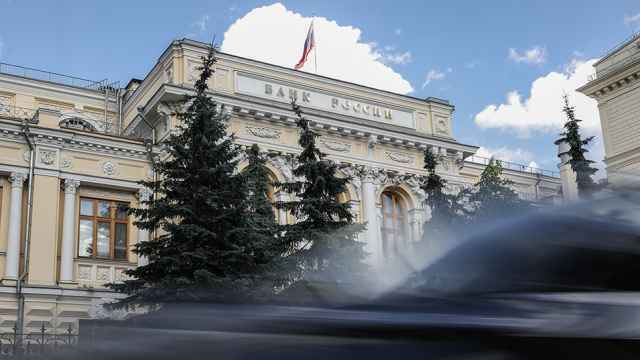 Moscow may have to keep money flowing to Belarus for some time. For Kazakhstan, it may be more about maintaining neighborly relations and perhaps offsetting any threat from an unpredictable China. Andrei Yershov, vice president of commerce and foreign economic relations at a Kazakh locomotive assembly plant that is at the forefront of Nazarbayev’s efforts to wean the Kazakh economy off a dependence on natural resources, said he could not say whether the new union would help his business, which depends on imports from outside the region. He simply did not know what it entailed. “I have not received any information from the authorities from which I can understand what the changes are and what the benefits are,” he said. It is an attitude characteristic of Putin, who, according to some Russian media, did not consult his colleagues in the CIS about his plans to propose a Eurasian Union. It is as if he and Nazarbayev think that they can attract other countries simply with their personalities, Gevorgyan said.